We were surprised about how big the room is. The balcony was very nice. The location is very good. Very clean and spacy room, caring and friendly staff and a shared kitchen with coffee and treats! Mr. George, the owner, was very helpful and personally took the time to drive us to the church and pick us up and take us to the ferry. He recommended a wonderful local restaurant. 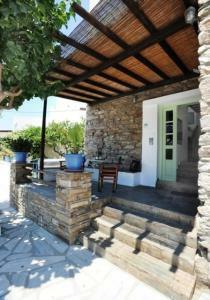 For those who are staying one night to go to Tinos's famous church, this is the perfect location. The hotel is clean, the area is safe, there is a minimarket down the street and a bakery that sells morning cheese pitas and spinach pitas. Everything you need is nearby, including the two main shopping streets, which are open late. Mr. George was also at our request willing to set up a taxi tour of the island. 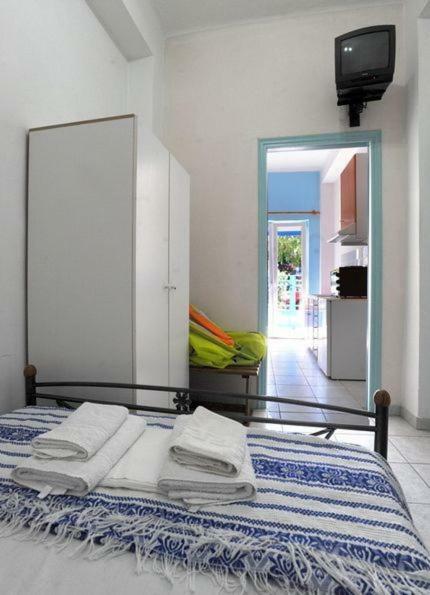 Rooms have refrigerators and air conditioners. Our rooms had balconies/patios with chairs and tables, and we enjoyed sitting outside in the early morning. 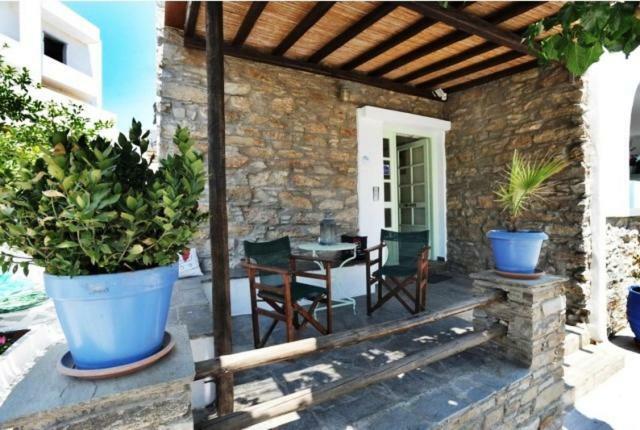 Good location close to central tinos town and close to restaurants and supermarket. Free drop-off at port by owner. The beds are comfy There's coffee to welcome guests (very thoughtful) Very kindful picking up and dropping off guests to the port. La grande terrasse et le personnel pour les services rendus! Πολύ καλή τοποθεσία. 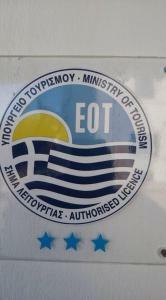 Πολύ κοντα στην Μεγαλόχαρη!! Ο ιδιοκτήτης πολύ φιλόξενος!! 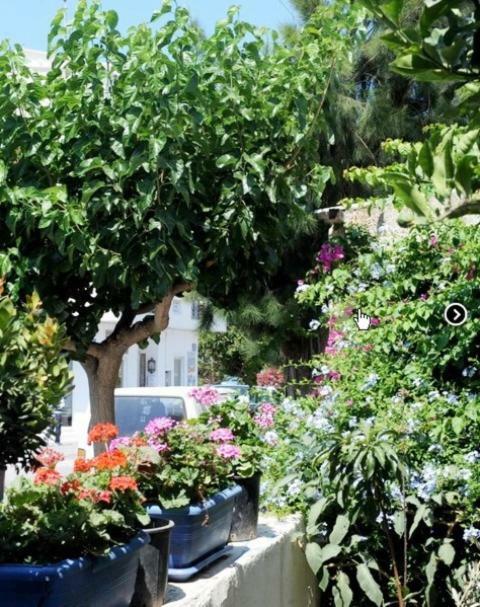 Είχαμε μεταφορά απο και προς το λιμάνι της Τήνου.Αν και το κατάλυμα δεν παρεχει πρωινό , μπορούσαμε να φτιάξουμε απο μόνοι μας αν θέλαμε!!! Δωματιο πεντακάθαρο και ήσυχο!Εντυπώσεις εκπληκτικές!!. 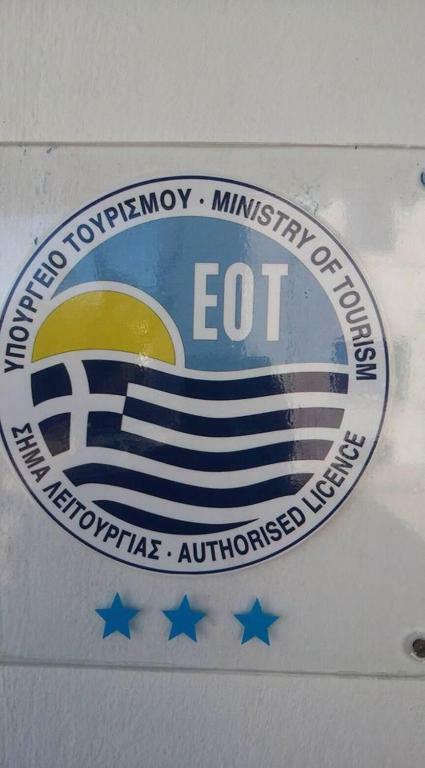 Το συνηστώ ανεπιφύλακτα!!! Lock in a great price for Galini Chora Tinou – rated 9.1 by recent guests! 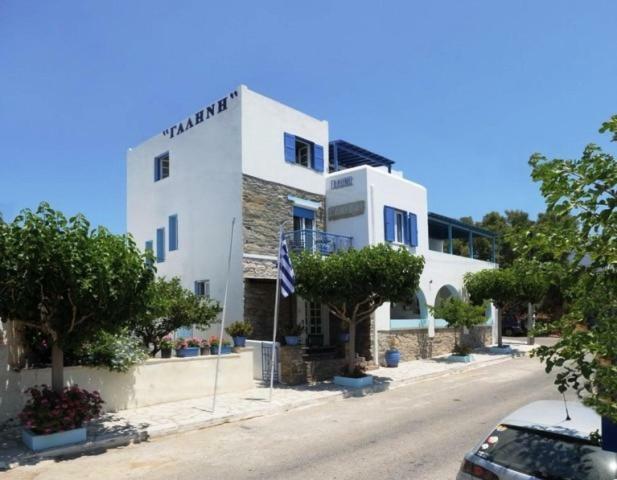 Family-run Galini is located in the center of Tinos Town, very close to the church of Panagia of Tinos, and only 350 feet from the main port. Free Wi-Fi is available throughout the property. Galini Chora Tinou offesr air-conditioned rooms with balcony. Guests can choose between rooms with TV, bathroom and fridge or studios and apartments with the addition of a kitchen. 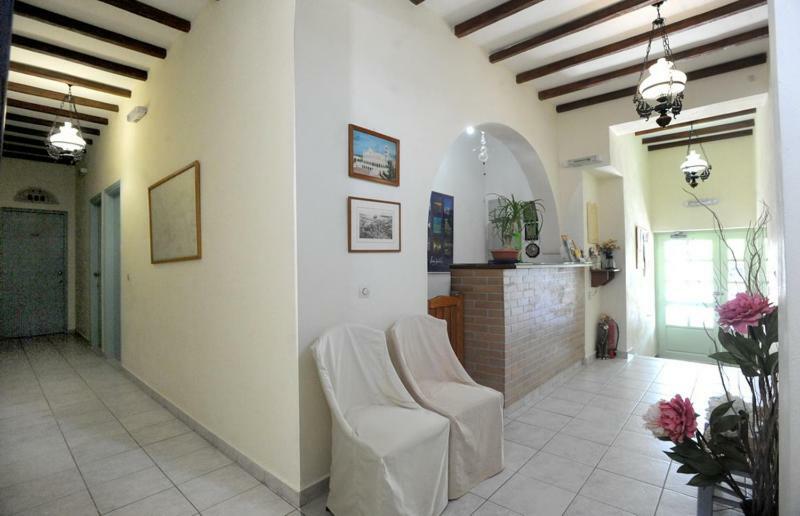 A TV room and a luggage storage area are provided for your convenience. A communal kitchen with kitchenware and complimentary tea/coffee making facilities is available for use throughout your stay. Upon request, free port transportation is offered upon arrival and departure. Free public parking is available on the streets that surround the hotel. 뀐 Located in the top-rated area in Tinos, this property has an excellent location score of 9.2! 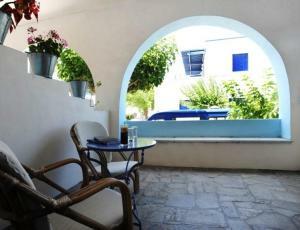 When would you like to stay at Galini Chora Tinou? 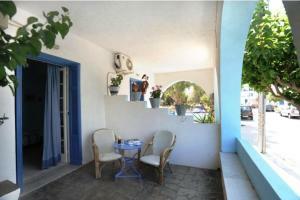 Room with balcony or terrace with view, refrigerator, TV, safe and bathroom with shower and hairdryer. Free Wi-Fi is also provided. Studio with all standard facilities, plus a kitchen with dining table. Free Wi-Fi is also provided. megales verantes isixi geitoneia me parkin aneto .konta sto kentriko palio limali kai konta stin eklisia.ENA XILLIOMETRO APO PLAZ AGIOY FOKA,BRABEYMENH ME GALAZIA SHMAIA. House Rules Galini Chora Tinou takes special requests – add in the next step! Please inform Galini Chora Tinou of your expected arrival time in advance. You can use the Special Requests box when booking, or contact the property directly using the contact details in your confirmation. There are 3 things that need to be changed in the property profile. 1. The location on booking.com was very wrong. We walked around for more than half n hour looking for the place. Better to google search it. 2. There is no "shared kitchen". It is a private kitchen in the room but the equipment is poor and not really meant for cooking. 3.we assume that because it was not the high season - there was not hot water between 22:00-09:00 (during the night and morning). this is not a hotel is a very bad accommodation. Everything is old in the room and the shower does not work. I do not recommend. Lovely place to stay. Double check the directions, I'm pretty sure Google maps was correct in the location of the property. The link from bookings.com was incorrect and that is the location I followed and it did not lead me to the property. The TV set should be upgraded. I booked an apartment for 4 persons but ended up in a very small room with 4 beds and no space at all. No table, no where to place our 4 suitcases. The kitchen, we were promised, was in the basement. No match between presentation on Booking.com and reality.